Today is the last day of the Miss Polly blog tour. I hope you have enjoyed seeing all the gorgeous Miss Polly dresses as much as I have! For the last day of the tour, I have Jenya from While she was sleeping, Erin from Erin Always and Annelies from AnneLuSe. Today is the last day you can receive 15% off the Miss Polly pattern with the code: MISSPOLLY15 (discount applies to all sewponyvintage patterns throughout the tour). Don't forget to use #misspollydress to tag your dresses on social media so I and others can find you!! Jenya, from While she is sleeping, is one of my good blogging friends who lives within a few hours of where I live. She is super nice and although we met only once a few years ago, I feel like we get along very well. Jenya sews mostly for her elder daughter, R. Although with the arrival of baby L around seven months ago, some baby sewing has been happening on Jenya's blog too. Oh, and Jenya also sews a little for herself. Go Jenya! 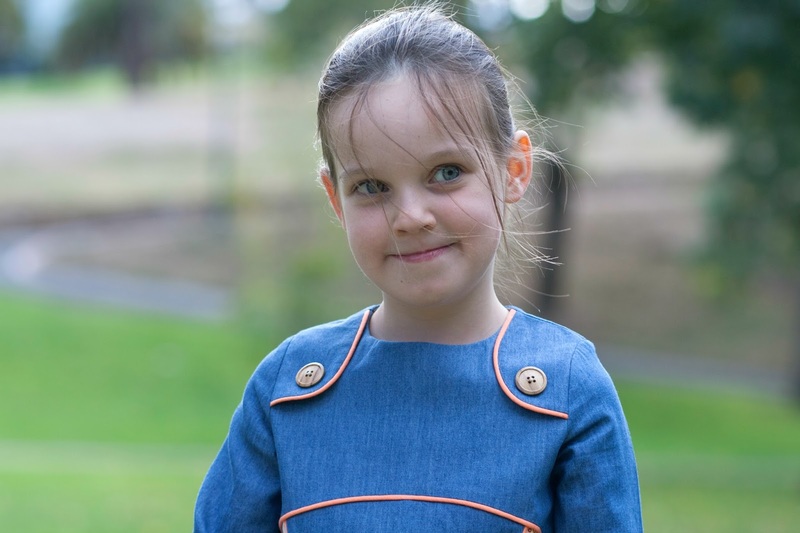 I love the look of this denim Miss Polly with the lovely orange piping! See more at While she was sleeping. Annelies blogs at AnneLuSe and was one of my lovely testers. 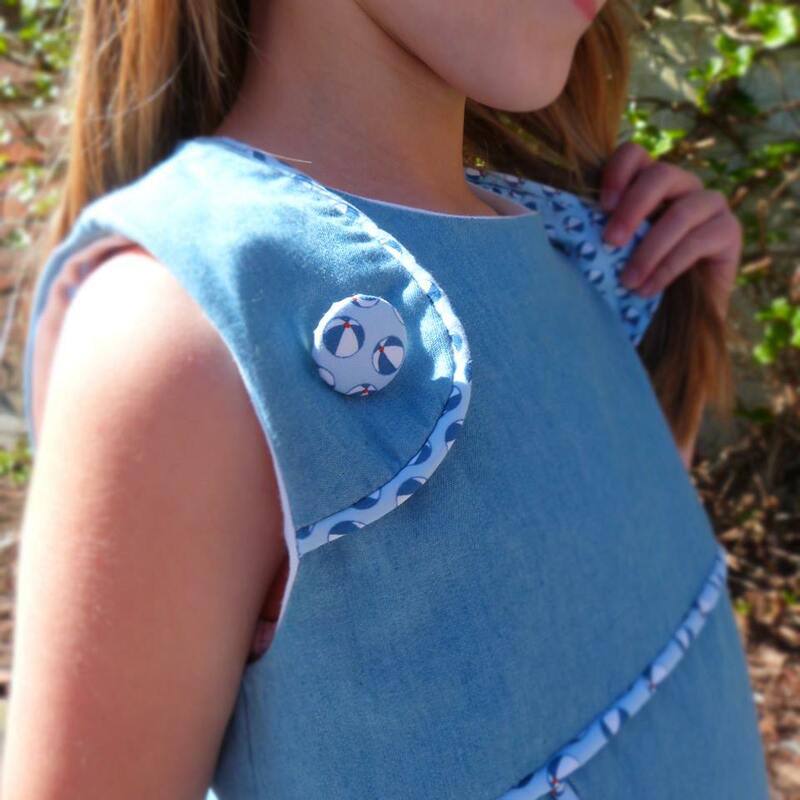 She sewed up this gorgeous Miss Polly for her younger daughter. Today she is sharing a sleeveless Miss Polly that she sewed for her elder daughter. I love the thick piping and blue is my favourite colour! Head over to Anne LuSe to see more! My final guest is Erin from Erin Always. Erin has a beautiful blog where she shares her makes and moments with her family. Erin has three children - baby Michael is only a couple of months old. 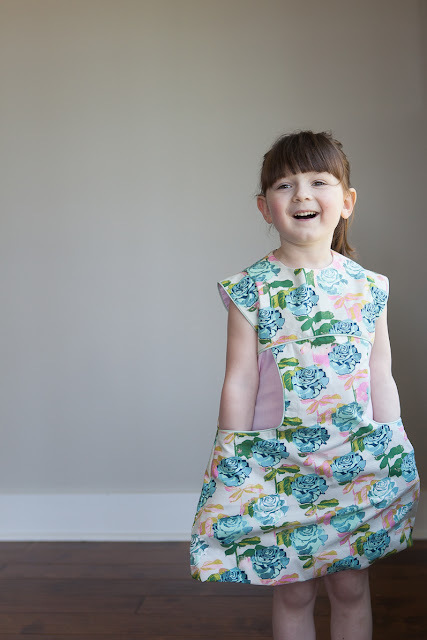 Erin sews a lot for her daughter, Hannah, who makes everything look gorgeous! I just love the big floral of this Miss Polly! Head over to Erin Always to see more! Thank you Jenya, Annelies and Erin for sharing your beautiful dresses!!! If you have missed any of the dresses shared on the tour, click on the blogs below for inspiration! Thank you to Miranda, Bettina, Sylvia, Marleen, Maaike, Emi, Jenn, Maarika, Anke, An, Sara, Griet, Kristin, Jenya, Erin and Annelies!!! Your dresses have all been amazing!